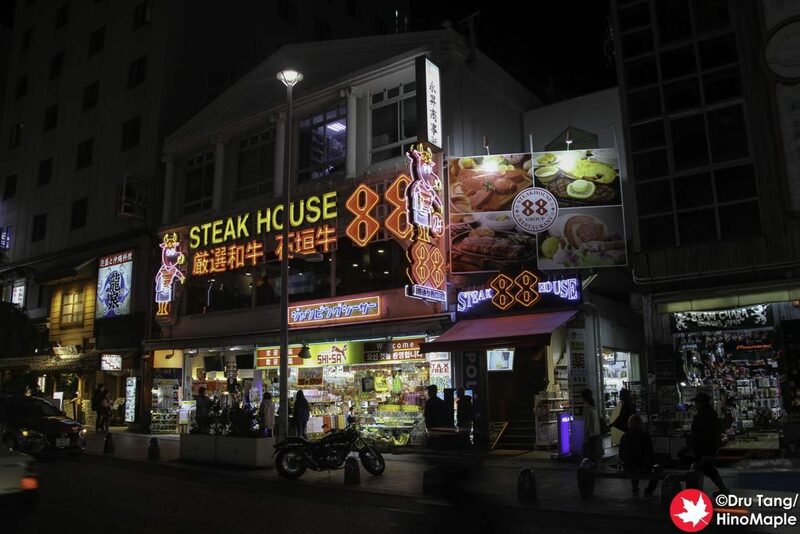 The Steakhouse 88 chain is a very famous chain of steak houses in Naha. The chain can be seen predominantly along Kokusai-dori, the main tourist strip. This can be a problem as the quality is not as good as it could have been, and it feels like a tourist trap. There are 3 locations for the Steakhouse 88 and I chose the western shop. 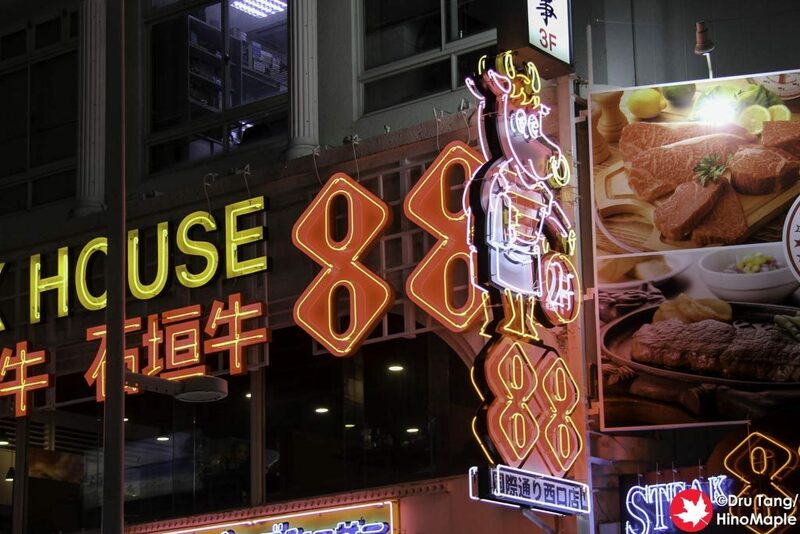 It was a mistake to even consider going to the Steakhouse 88 chain but I went there either way. I got there just before they opened and they opened late. 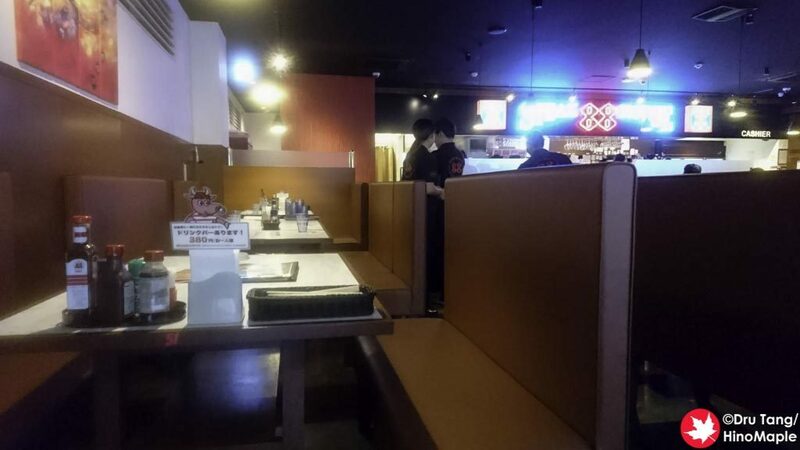 It is your typical shop with young people running the place, and poorly by Japanese standards. There were a couple of big tour groups visiting soon after they opened so that was another reason they were a bit busy, but when I entered it was completely empty aside from the 10 or so people who entered when they opened. I got my seat and proceeded to order. It is a simple system where they have a bell to call people over. With every meal you get access to the soup and salad bar. It can be busy at times, especially when everyone was there at the same time, but it wasn’t too bad. The soup was not special and the salad options weren’t bad. I ordered a couple items, including beer. 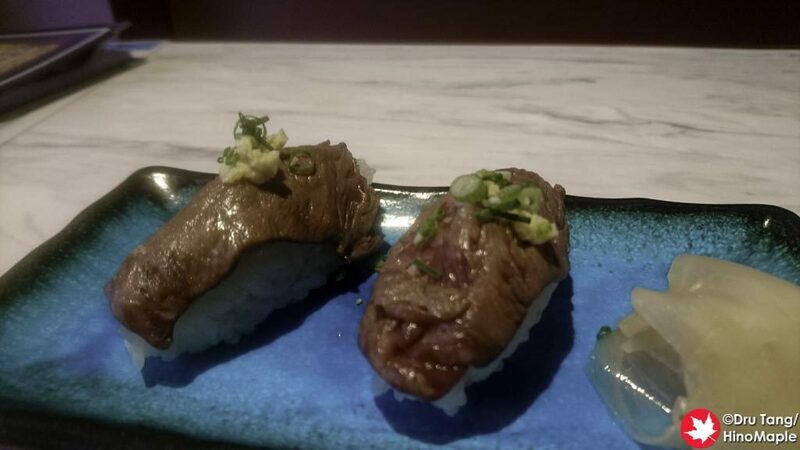 I got the red meat steak, rare, and the wagyu sushi. I wasn’t expecting a lot but everything completely disappointed me. The steak was not firm and was hard to cut. It ripped itself apart with just my fork and the pressure of the knife and wasn’t very appetizing. 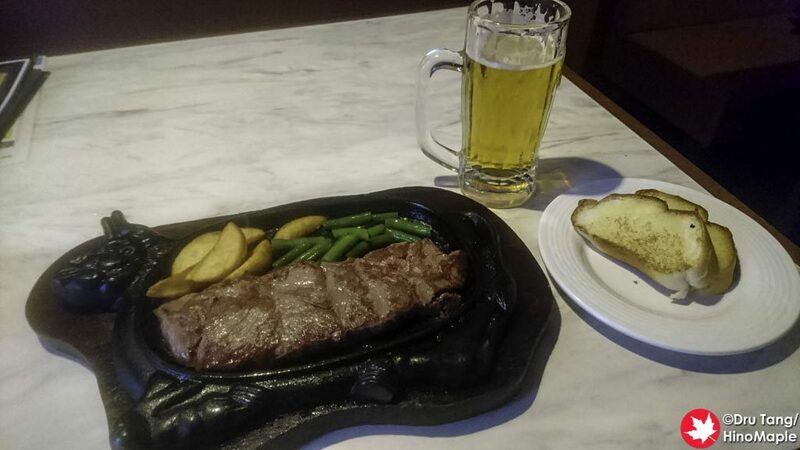 Perhaps I should have ordered medium-rare, but steaks in Japan always come on hot plates so by the time you finish eating it is well done as it keeps cooking in front of you. The sushi was also pretty bad, but that is to be expected. The rice was poorly cooked and had too much vinegar. The quality of the beef wasn’t bad but it wasn’t great either. I was really disappointed in what they brought me and felt let down by everything. The service at the Steakhouse 88 was also poor. I ordered a second beer but they didn’t bother to write it down and they forgot. At the same time 2 Korean tour groups entered. They were making a lot of noise and running around to get their food so after I was told my second beer was not ordered I decided to leave. I was annoyed when I paid as well as they just didn’t seem to know what to do. My experience and your experience at the Steakhouse 88 may be completely different but I was completely let down. I didn’t have high expectations but considering my taste for steak in Japan has grown, I was sad that it was this bad in Naha. I’m sure the other steak houses are much better but that is all the more reason for me to try to visit them in the future. You can be sure that I will not be going to the Steakhouse 88 again in the future though. 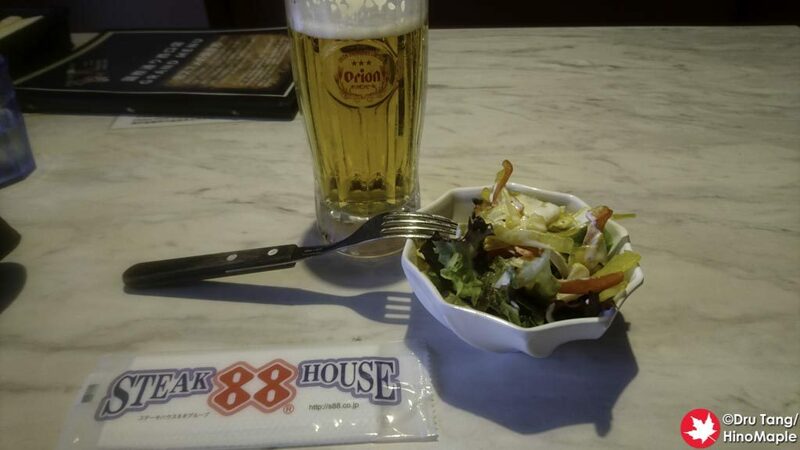 This entry was posted in Okinawa Food and tagged 88, japan, Kokusai-dori, Kokusaidori, Naha, Okinawa, steak, Steak House, Steak House 88, Steakhouse by Dru. Bookmark the permalink.